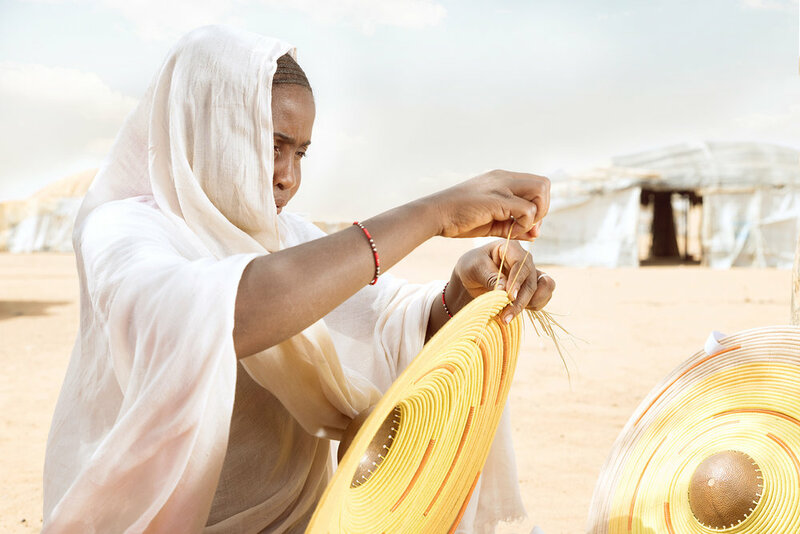 A A K S has launched ‘Weaving for Change’, a weaving intiative that aims at creating fair and dignified work for refugee artisans in Burkina Faso. It resulted in a limited edition of home interior products that combines innovation and traditional craft. ‘Weaving for Change’ reflects the preservation of an old age artisan trade of the Tuareg community from Northern Mali of whom some are living as refugees in Burkina Faso. Behind every handcrafted lamp you will find the Tuareg heritage. The design combines unique artisanal skills and basketry techniques carried out by Tuareg and Fulani/ Peulh women. Through creative collaborations such as these the refugee artisans living in extreme poverty may have an opportunity to change their lives. This collaboration also aligns with A A K S’ brand values of ethical production. We invite you to visit our blog to discover more about the making process. The Ihaya Lamp is a planetary pendant light inspired by the symbolic projection of the Tuareg life through the Sahara suggesting boundless boundaries. 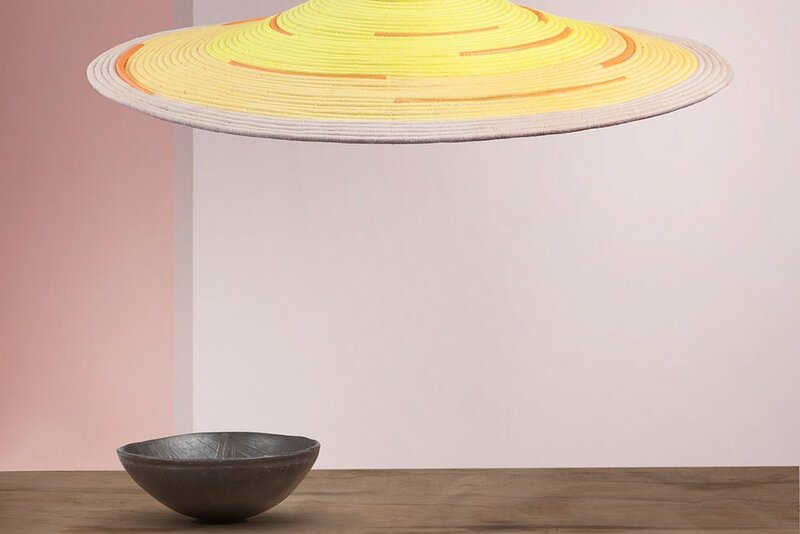 Crafted in a post modern shape, this large and flat yet light weight design boldly blends straw, leather and bronze metal to render this spatial lamp orbiting right above our heads. Ideal for dining tables, over head lighting and as a feature piece. The Oude Lamp is a timeless and quietly opulent pendant lamp. The simplicity of the sculptural shade adds presence and elegance either displayed as a single piece or clustered in a cascading tier. Ideal for bedrooms and social spaces. The Bella Lamp is a classic and refined silhouette that fits harmoniously with any interior styles working harmoniously in a traditional, contemporary or a minimal environment. It creates a timeless yet playful lighting solution, adding warmth to any space. The artisans who produce the work in this catalogue are supported by A A K S and UNHCR. The objective of this collaboration is to bring out multi-cultural and innovative designs to assist in the growth of a sustainable business for the refugees. A comprehensive training and follow-up support program is offered to refugees and local artisans to build production and marketing capacity whilst improving the socio-economic integration of refugees. It is our belief that this may go some way in aiding the economic livelihoods of the refugee artisans whether they stay in their country of refuge or eventually return home. Each lamp is handcrafted, making every piece unique, which we believe is the magic of handmade products. Hand Spun organic cotton yarns. Artisanal tanned sheep hides from Burkina Faso. All metals are hand beaten and pattern variations are the trademark of individual artisans.